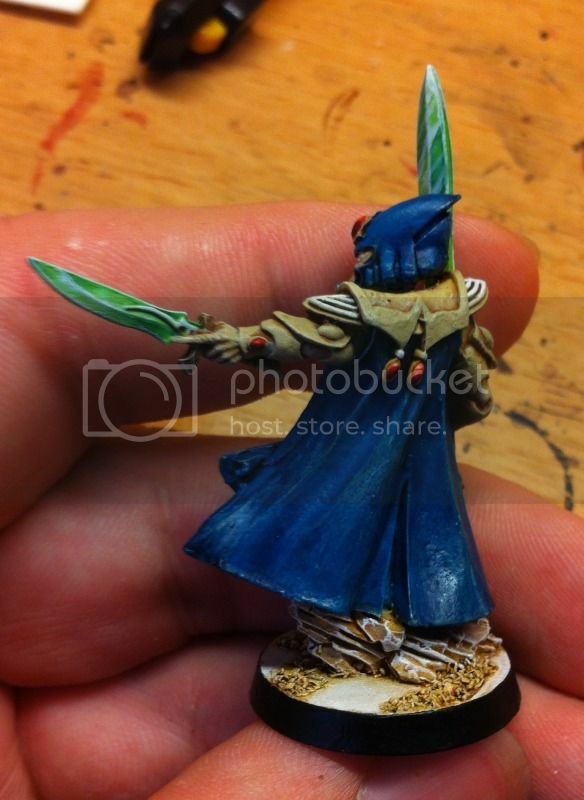 Blog Subject: Eldar 12/08/13 Farseer and Ranger Squad. 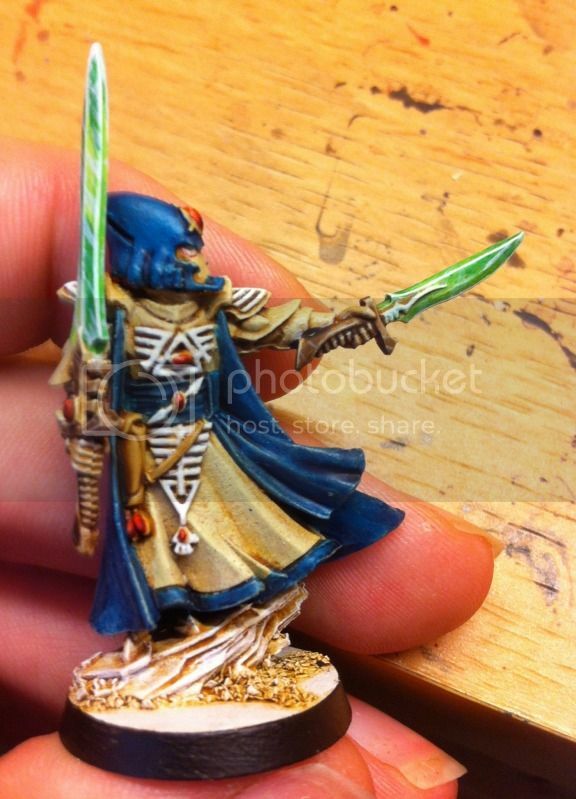 When I said I was interested in the new Eldar, I was given some figures. A Farseer (metal) 3 Warlocks (metal, but not going to use them). A box of plastic Dire Avengers (10 in a box! not 5 like the new sets). Some plastic guardians (not using as they've been butchered with glue) and a built plastic Falcon ( bit messy, but workable). This week I've been painting up the Farseer and the Ranger squad. I trimmed the fin off the back of the Farseer's Helm. I think they look better without. 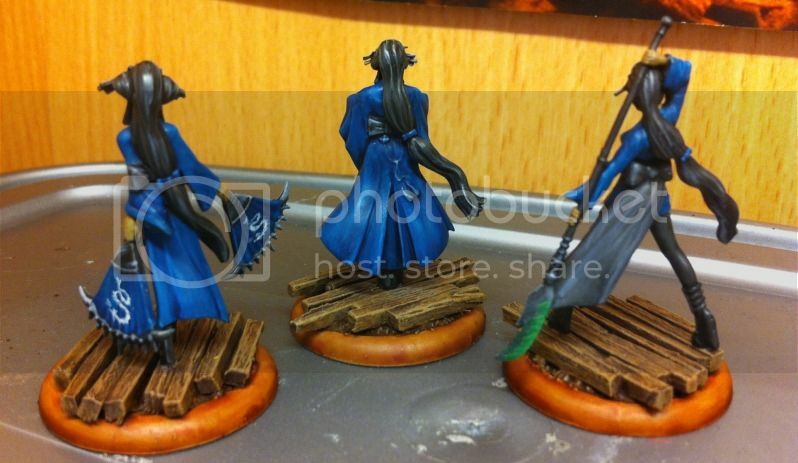 Blog Subject: Malifaux: Oiran for Ten Thunders. 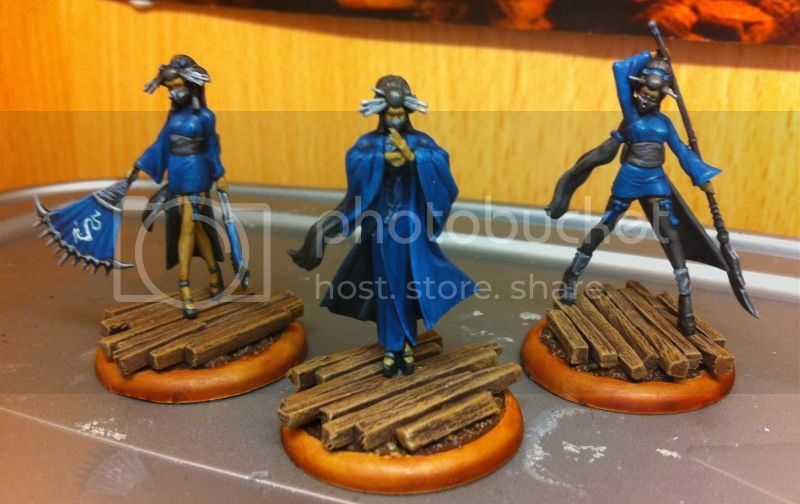 May I present: 3 Oiran for my Malifaux Ten Thunder crew. Not the hardest unit, but quite sneaky really. The start of Harmless so harder to target. Nearly all their triggers restore Harmless. And if not.., one of the (1) actions restores Harmless. They can also once per crew per turn can chose one random card from the enemy control hand. If I dislike the card, I can make him place it back in the deck.. So with the addition of some plastic US infantry (painted as Airborne) that I bought from Tadhg, a 30.cal LMG team and a 50.cal HMG team, I've basically doubled my force. Having a better idea of the rules now, I realise the LMGs have to be part of an infantry squad. And squads have to be at least 6 men. So the previously posted 2x 5 man infantry squads and 2 man LMG team, are now a 6 man squad with 5 rifles and 1 SMG. And another 6 man squad with LMG, Loader and 4 Rifles. They can be played separate like that or combined to make a single squad. I initially intended to do a single reinforced platoon. But I've decided to have 2 Lieutenants. So the previous Lieutenant I promoted to Captain. 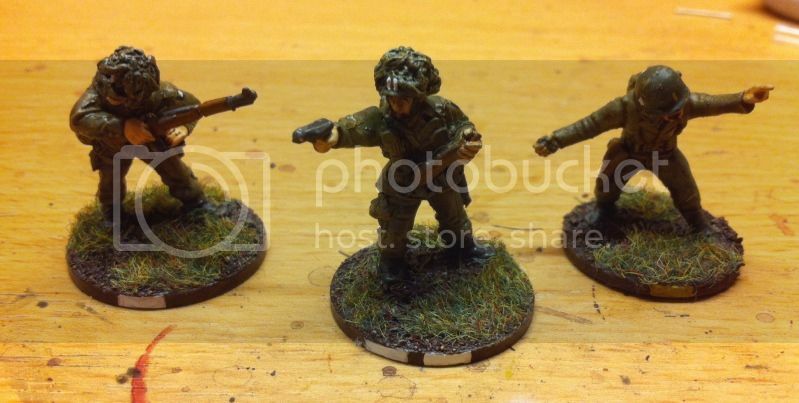 The 1st Sergeant I promoted to 1Lt and I painted one of the plastic figures as a 2Lt. This will allow me to field more of the back up units. 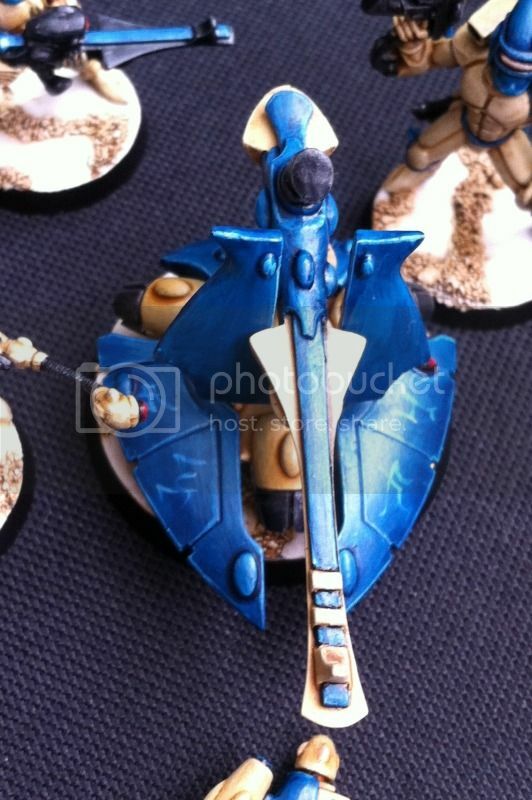 Blog Subject: Eldar Blog 21st July 2013 Guardian test scheme. 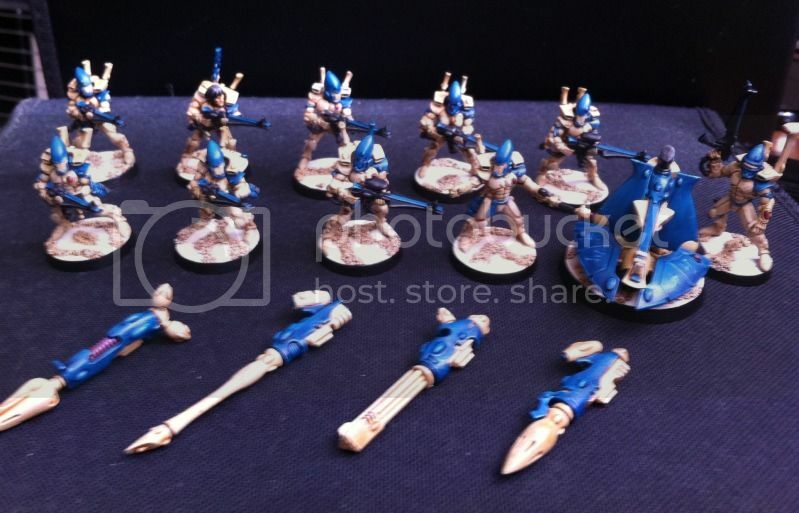 I collected eldar for a while many years ago in 3rd edition (I think). 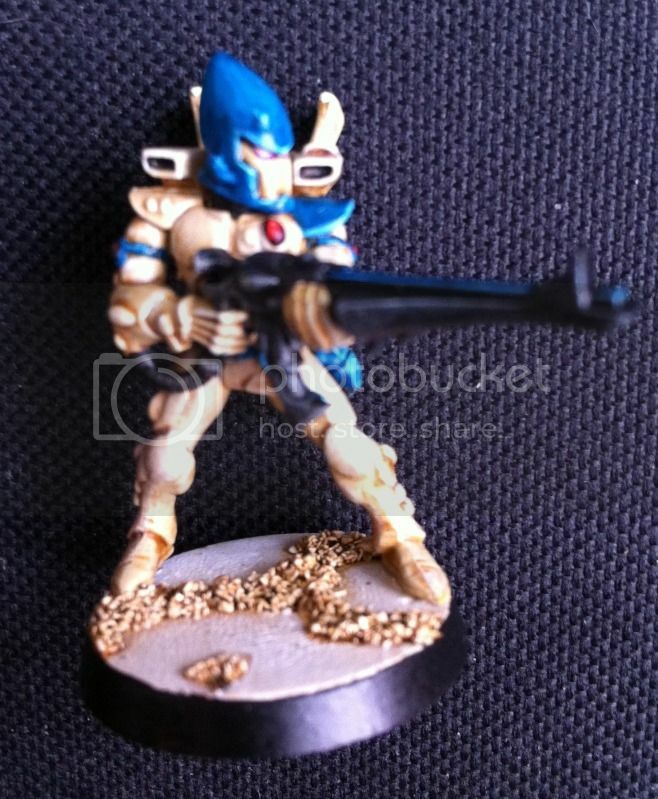 With the release of the new codex, I thought I'd start a new eldar force. The colours I've gone for are Bleached Bone (Ushabti Bone) and Hawk Turquoise (Sotek Green). 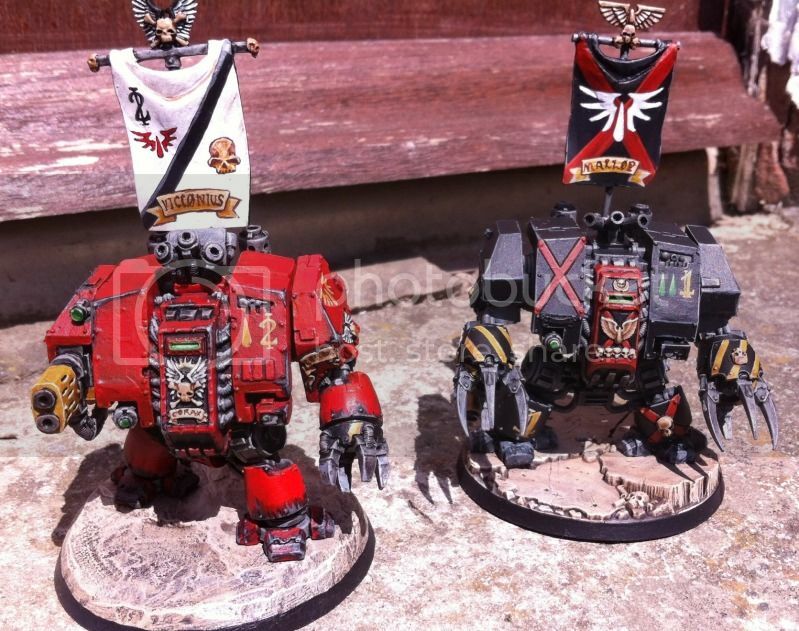 As for style, I'm basing them more towards the Biel Tan. Someone asked me to do a little tute on the bases so here it is.